Between 1975 and 1985 High-Fructose Corn Syrup (HFCS) replaced sugar in soft drinks and many other processed food products in the USA. Some people believe this led to the obesity epidemic here. I did gain 6o pounds after high school (going from 175lbs on graduation day 1995 to my heaviest of 235lbs in January 2006 when I started the police academy) on a diet of Mountain Dew and Taco Bell. 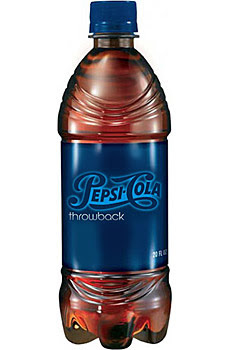 According to Uncrate.com, a men's website of cool guy stuff, bevreview.com is saying that someone else is saying Pepsi is going introduce "PEPSI Throwback" some time in April. Throwback is going to be made with Sugar instead of HFCS. Let the awesomeness begin. 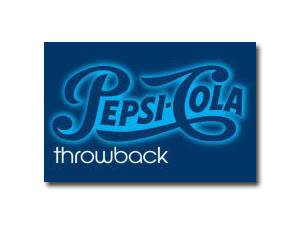 the retro design, along with the "better for you" ingredient, may lead to a new trend with sodas. That of course depends on the taste. I for one have never really liked the taste of the Mexico Pepsi, which is supposedly made with sugar not HFCS. 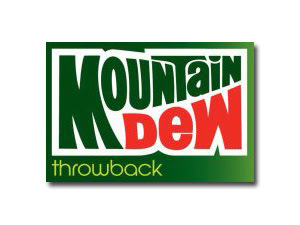 Of course, it's from Mexico so...... Also, PepsiCo is going to introduce a Mountain Dew Throwback as well, retro logo and all. I'm excited for the new idea on both beverages. I love Pepsi and Mountain Dew, and I think this is a great idea for the company. Now they just need to bring them back in glass bottles. "Thanks" for the heads up on this goes to Ted, who didn't blog it. He just let me know about this great hope....and to tell me to buy him some if I see it first. Same goes for all of you who read this blog. All of you....all....so the 2 of you, keep your eyes peeled for the Throwbacks. If you see it, email me, or buy some for me...and Ted. I'm telling you this, all of the soda I have had in Canada and Europe taste so much better than the soda here in the States. I just got back from Mexico and I had a Coke down there (sorry man, I didn't see Pepsi) and it does taste superior to the Coke here. I guess you can actually get Mexican Coke at Costco now (at least the Costco in Arizona...). I'll be on the lookout for you though. I think Pepsi uses Colorado as a test site a lot for their new products, so if you know someone up there give them a call.